OTTAWA — Days before a Canadian businessman is to appear in an Ethiopian court to face terrorism charges, the government officials are sending "strong signals" that they are watching to see whether Bashir Makhtal has any hope of a fair trial — and if he doesn't, they'll be taking steps to bring the former Toronto businessman home. "Thursday is going to be a very important day," said Transport Minister John Baird on Tuesday. "What is required is that after two years of holding Mr. Makhtal with no charge, they now put up the evidence." Baird said he will be speaking to embassy officials Wednesday to ask that the Canadian ambassador attend Makhtal's hearing in Addis Ababa, to underscore to Ethiopian authorities that "the government of Canada at senior levels will be watching this very closely." Baird took on the Makhtal case last year at the urging of Ottawa's Somali community. Born in the Ogaden region of Ethiopia, Makhtal is an ethnic Somali who immigrated to Canada in 1991. The 40-year-old trader was arrested crossing the border between Somalia and Kenya in late 2006. He is accused of being an Islamic extremist. A month later, he was illegally deported to Ethiopia, where he was held for two years in solitary confinement with no access to a lawyer or to Canadian embassy officials. Makhtal's case was recently transferred to civilian court, where he finally heard the charges against him. The Ethiopian government alleges that he was a leader of the Ogaden National Liberation Front from 2003 until his arrest in 2006. As the head of a military and political training centre, he is alleged to have led 800 fighters into Somalia on a "terrorist mission." 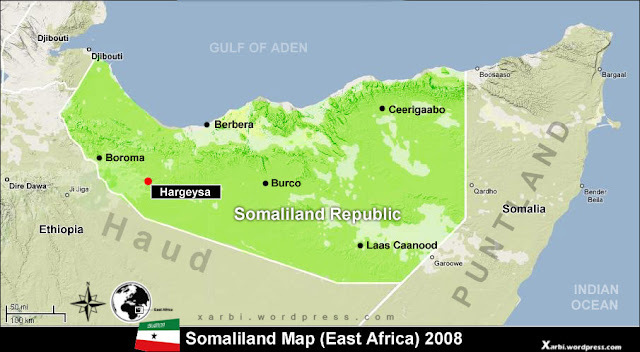 The ONLF is fighting for Ogadeni independence from Ethiopia, which considers the group a terrorist organization (the Canadian government does not). Makhtal has repeatedly denied any active involvement in the ONLF, and said he is being persecuted because his grandfather, Makhtal Dahir, helped found the ONLF decades ago. The evidence listed on the charges includes the names of six witnesses, all of whom Makhtal's lawyer and family believe were coerced into making statements against him. It also includes three pieces of documentary evidence, one of which is an ONLF news release claiming responsibility for an April 2007 attack on an Ethiopian oilfield. The news release makes no mention of Makhtal, who had already been in solitary confinement for four months by the time of the attack. Another piece of documentary evidence listed is the case number of an Ethiopian military court decision from the fall of 2008. Makhtal was brought before a secret military tribunal half a dozen times last year. He was blindfolded, the proceedings were in Amharic — a language he barely understands — and he was not allowed to have a lawyer present. The evidence "underscores the fact that trials in Ethiopia, particularly in a political context and certainly when ONLF suspects are involved, generally fall far, far short of international standards," said Alex Neve, secretary-general of Amnesty International Canada, adding that political trials in Ethiopia are "quite unpredictable." "I can't say there's a good chance a judge will look at the flimsy evidence and laugh it out of court and Mr. Makhtal will be a free man, because this could very well stretch out for many more sittings of the court," Neve said. Baird has previously said he would consider going to Ethiopia to press for Makhtal's release, and members of the Makhtal family say they have been told that the minister plans to go in April. "I'm hoping to welcome Mr. Makhtal home before then," Baird said Tuesday. "But I've had good discussions with Lawrence Cannon, the minister of foreign affairs (about going to Ethiopia) . . . I'll be speaking to that issue after I see what goes on Thursday." Baird met Tuesday with Makhtal's cousin and main advocate, Said Maktal, to deliver the same message. "At least now, after two years, I feel like the case is getting some attention from senior levels of government," said Said Maktal. "I think it's clear my cousin is never going to get a fair trial." Said Maktal said he asked the minister to make sure that, if he does travel to Ethiopia, he goes armed with a letter from Prime Minister Stephen Harper to Ethiopian Prime Minister Meles Zenawi. "Meles Zenawi will not give it the attention it deserves unless it comes from the Canadian prime minster," he said.